Photos taken in and around the City of Calgary. 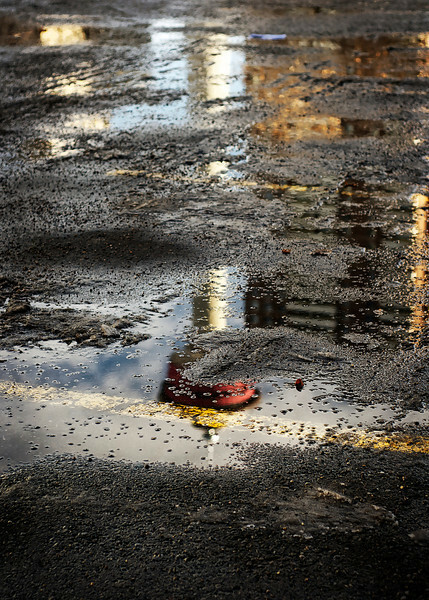 Reflection of the downtown Calgary Tower in a puddle of water in a downtown parking lot. 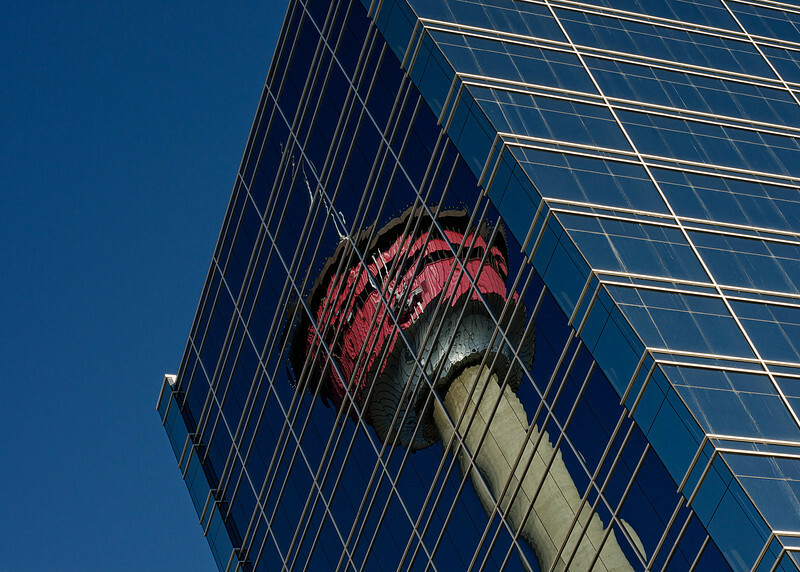 Calgary photographer Dats Photography captures an interesting prospective of an urban landscape. This Alberta city landscape photo was taken during a Calgary photographer meet up group challenge, all of the photographers had to use only a fixed focal lens or fixed focal length of 50 mm and then walk around the downtown core of Calgary to see what kind of urban Alberta Landscapes we could find. 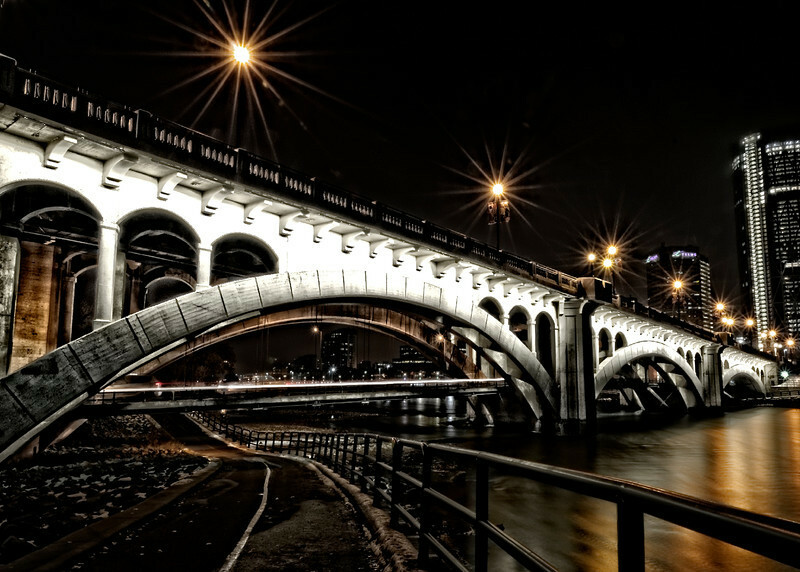 The Centre Street Bridge at night. This is an HDR Landscape Photo. 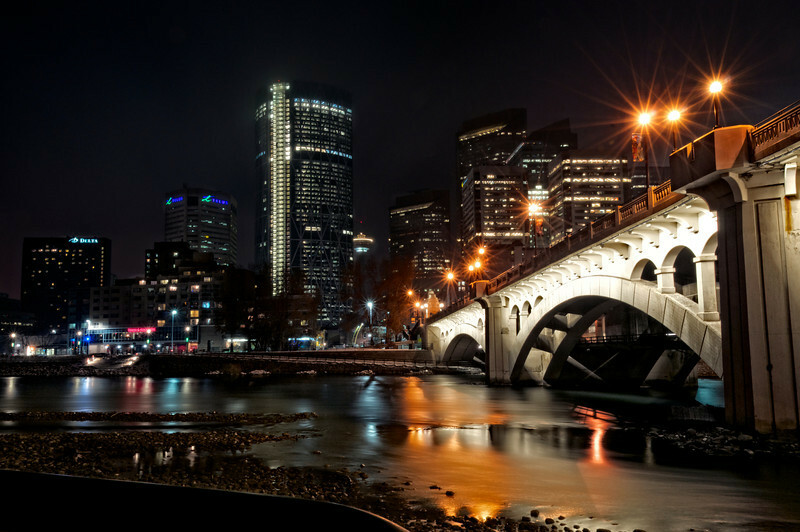 The Centre Street Bridge is a Calgary landmark spanning the Bow River that runes through Calgary. Calgary photographer Dats Photography landscape photos and cityscape or urban landscape are stock landscape photos that are for sale upon request. The Centre Street Bridge at night with the new Bow Tower in the background. This is an HDR landscape photo from Calgary photographer Dats Photography. Dean from Dats Photography has a passion for Alberta landscape weather in the city taking urban Landscape or taking landscape photos from the foothills to the Canadian Rocky Mountains. Please view my other Landscape galleries like Banff landscape, Lake Louise landscape,Jasper landscape or Kananaskis landscape . I hope you enjoy viewing the landscape photos as mush as I like taking them. 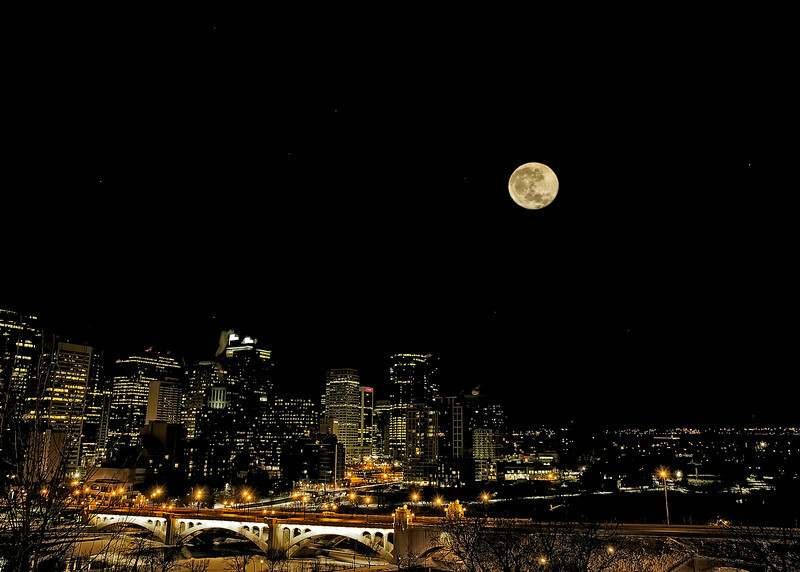 The Centre Street Bridge at night with the full moon over Calgary, make for an interesting urban Alberta Landscape. This landscape is an HDR landscape (High Dynamic Range) by using the HDR process Calgary photographer Dats Photography was able to capture more detail in the darker areas of this urban landscape.as well as being able to control the hi light areas of the landscape photo at the same time. 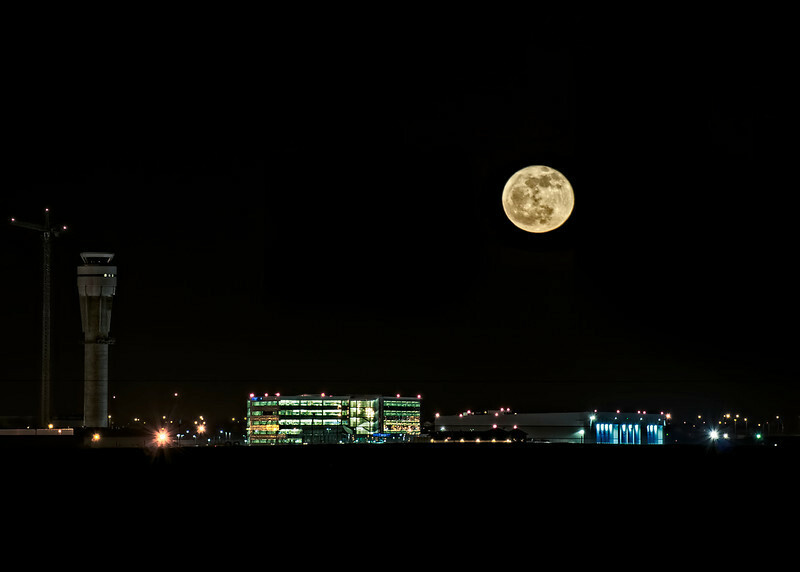 Full moon rising over the Calgary International Airport. (YYC) Dean of Dats Photography has a passion for all kinds of Alberta landscape and when a sale of a stock photo or fine art landscape is made Dats Photography will contribute twenty percent to funding an Optical mission to dispense eyewear to visually impaired people of a third world. If you see a landscape photo from any landscape gallery you wish to purchase please e mail me with your Canadian landscape photo request and Dats Photography will help you with your purchase .